Named for its donor, the Eli Bates fountain serves as the centerpiece of the Lincoln Park Conservatory’s Formal Garden. 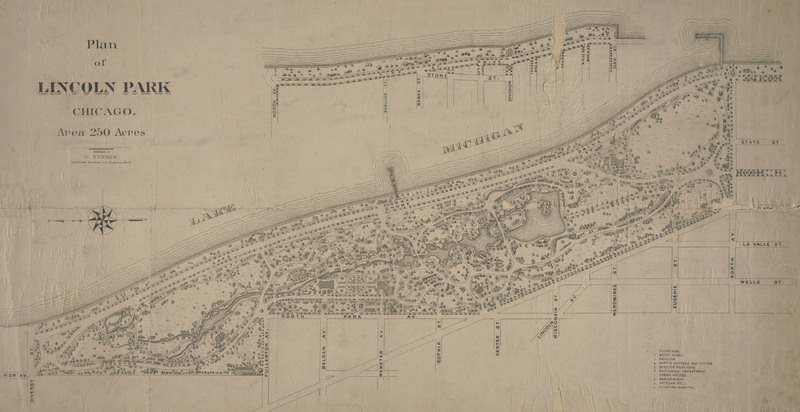 Eli Bates (1806-1881) was a wealthy Chicago businessman who designated funds in his will to create the fountain. It is a favorite attraction for children and adults alike with its joyful and whimsical bronze “Storks at Play” sculpture. Internationally acclaimed artist Augustus Saint-Gaudens (1848-1907) and his assistant Frederick William MacMonnies (1863-1937) collaborated to create the fountain, which was installed in the Formal Garden in 1887. 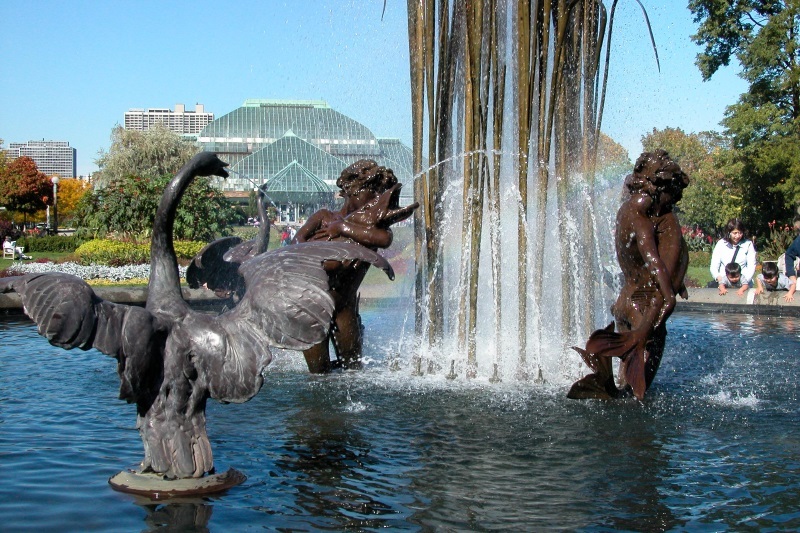 We restored the fountain in 1999, which included re-casting the missing cattail sculpture at the fountain’s center. Our appreciation to Adopt-A-Monument donor Borg Warner Corporation for making this restoration possible. 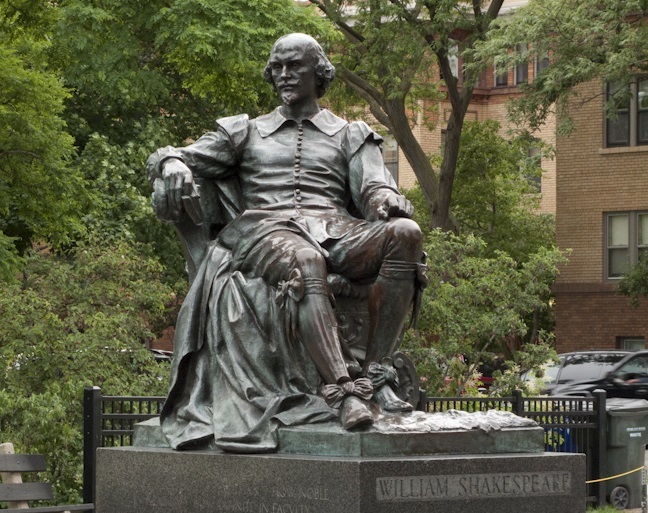 One of the most beloved sculptures in Lincoln Park, the bronze figure of The Bard was designed by local sculptor William Ordway Partidge (1861-1930). Chicago financier Samuel Johnston (d. 1886) designated funds in his will to create the monument. Partridge first displayed a model of the monument at the World’s Columbian Exposition of 1893. The bronze sculpture was installed in its current location in 1894. We conserved the monument in 1989. Our appreciation to Adopt-A-Monument donors the Edelstein Foundation and the Pritzker Foundation for making this restoration possible. Realizing the need for a long-range Master Plan for Lincoln Park (defined as the lakefront parkland from Ardmore to Ohio Street), the Lincoln Park Conservancy created a 30-page document “Lincoln Park: Preparing for the 21st Century.” It became the catalyst for a four-year planning process with a consortium of government, advocacy, and user groups that resulted in the 1995 Lincoln Park Framework Plan.